What is Natural Orthodontics? How do Teeth get Crooked and Crowded Anyway? 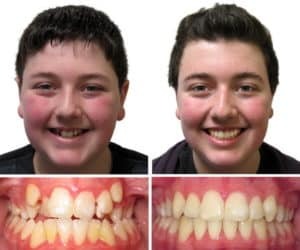 Natural orthodontics uses natural forces such as the tongue, chewing forces and breathing to promote jaw development, to straighten teeth and also balance the bite. The goal of natural orthodontist services is to create beautiful and balanced smiles as well as a healthier life. Optimal space in the mouth for tongue function and unrestricted / unobstructed breathing is important. The ultimate consequence when needed orthodontic treatment is not performed or completed properly is TMJ, sleep apnea and UARS. UARS stands for upper airway restriction syndrome. We love straight teeth, but cosmetics is not are only goal. Crooked teeth are a sign of underlying problems with facial development, upper airway development and tongue function. Tooth crowding is the writing on the wall that things are not growing or have not grown in the right direction. Paying attention to these warning signs can steer you away from future health problems. Natural orthodontist services uses the aid of natural forces such as the tongue, chewing forces and gentle functional appliances such the ALF appliance to balance the bite and achieve a symmetric facial profile. The ALF is termed a “natural expander” because the goal is to use natural growth stimulating forces such as the tongue to aid in expansion. The end result of treatment is beautiful smiles, healthy airways and balanced bites-as if it had occurred naturally because it did. 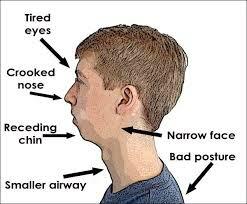 For adults, the focus is in identifying problem areas such as sleep, TMJ-TMD and postural issues. The DNA appliance is usually the appliance of choice for adults to achieve correction of teeth crowding, balanced smiles with optimal jaw spaces for better sleep and a cure to TMJ-TMD pain symptoms. The DNA appliance is a removable appliance that only needs to be worn at night and is easy for adult to tolerate. Notice the healthy increase in facial diameter and optimal tooth positions created. The facial balance has been optimized. The eyes, nose, ears and teeth are now parallel and level. The child used to have the entire right side of his face higher than the left. The increase in space will result in proper tongue position, more room for mouth and nasal breathing, better space for sinus drainage and performance. The health benefits and facial aesthetics for this child are life changing. An Example of a gentle functional appliance is an ALF Appliance. Advanced Lightwire is an example of an expander. The natural expander can also be used to gently increase the size of the mouth and balance the shape of the jaws. It is invaluable in correcting tooth crowding and encouraging jaw growth so all the teeth and tongue can fit into proper places and spaces. The ALF can sometimes be an alternative to braces when tooth crowding is the issue. The ALF can help avoid the need to extract teeth to create more space for all the teeth to fit. The use of the ALF appliance and other functional appliances improves jaw and facial balance, bite balance and proper space for nasal / mouth breathing, tongue position. Proper “balance” and “space” is what creates stability, health and prevents future TMJ, posture and sleep problems. Use of traditional orthodontic wires may not correct facial asymmetries seen above and may not create enough space for teeth and healthy tongue position. If care is not taken with Wires, the teeth can be held back or pulled back too far in the mouth and into the airway. (We still promote the use of orthodontic wires, but only after proper balance and space has been created. In fact many of our cases are still done at least in part with orthodontic wires). Traditional orthodontist has focused on moving teeth and getting them straight with metal wires, bands, and brackets. During child development, jaws and facial bones can under develop, causing a small mouth and too little room in the jaws for all the teeth to fit. 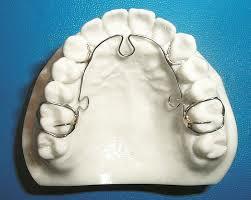 Orthodontic wires if used improperly can restrict growth in a child. identify factors affecting tooth crowding and under-development. Most often we will find a tongue tie. A tongue tie restricts the range of motion of the tongue and causes a thinning of the tongue profile on extension. The tongue is the primary factor promoting jaw development outward and width wise. The tongue literally applies pressure to growing jaws in a child to promote the growth. When the range of motion of the tongue is restricted the tongue cannot apply enough pressure for optimal development. That is when we see teeth crowding, small jaws, poor nasal breathing and possibly even poor sleep and snoring. Tongue Exercises to increase the range of motion of the tongue. Natural Orthodontist uses treatments to create more room in the mouth for all the teeth to fit more naturally. Treatment is centered around optimal oral-facial development and function. The use of an ALF Dental Appliance and tongue and chewing exercises is a common treatment course for crowded teeth. Is there anything more important than Breathing, Proper Posture, Balance and Overall Health? Diet of soft foods such as Macaroni and Cheese, and Applesauce vs Celery and Chewy Meats and Nuts. Natural and normal oral-facial development helps promote healthy attractive smiles, healthy jaws, large airways, healthy posture and whole-body health. After all, promoting whole-body health through proper dental care is what holistic dentistry is all about. Natural Orthodontist is for Adults and Children. We screen children for proper development starting as young as 3 years old. The goal for children is to promote optimal oral-facial development and avoid small mouths and crowed teeth situations. HO for adults is more complicated because oral-facial development has already occurred. The DNA appliance can be used to re-develop adult jaws and facial bones to optimize and balance the upper nd lower jaws. The DNA Appliance is very effective in treating TMJ problems due to its unique ability to create new growth and balance adult jaws. The DNA Appliance can create proper Space, Bite Balance and Facial Symmetry for the Adult.